Technology has brought us great gadgets like the iPhone, iPad, laptops, notebooks, and so much more. That opens up a wide world of new toys to share with our children. Educational and “just for fun” technological toys are everywhere. We recently had the chance to review the Ubooly. It’s a great new toy that works with your smartphone, and adapts to your child. There are hundreds of games to choose from, and it is completely customizable. Each Ubooly talks to your child, and if you have more than one, they’ll even talk to, and play with each other. You can customize your child’s Ubooly from your computer via the Ubooly Lab where you will find over 20 interactive lessons that have been designed by teachers, so while your child thinks they’re just having fun, they’re actually learning. The lesson packs are 30 minute activities that your child can do 5 days a week and that you can monitor. Plus, the Ubooly site will update you on their progress. The Ubooly’s are only available in orange right now, but they plan on making them in pink and green as well. You can order the latter two colors soon. To set up your Ubooly, just insert your smartphone or iPod touch into the toy, and like magic, your Ubooly comes to life. You set up your child’s toy to let it know what your child’s favorite things are: Colors, foods, activities, and your Ubooly will instantly love them, too. It talks and listens to everything your child has to say. 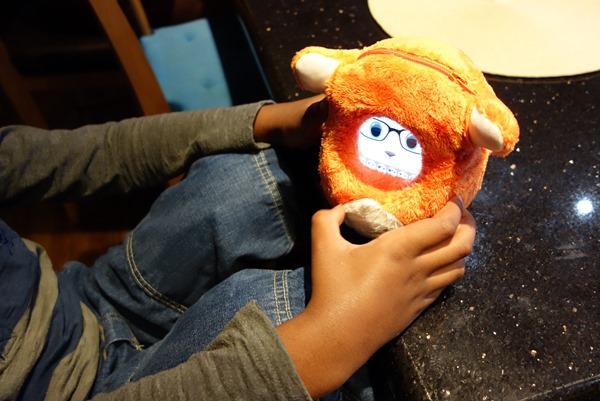 The Ubooly reads to your child, plays interactive games, and even has some great jokes to share with your child. You can order your own Ubooly from their website, and it will be shipped right to your house. 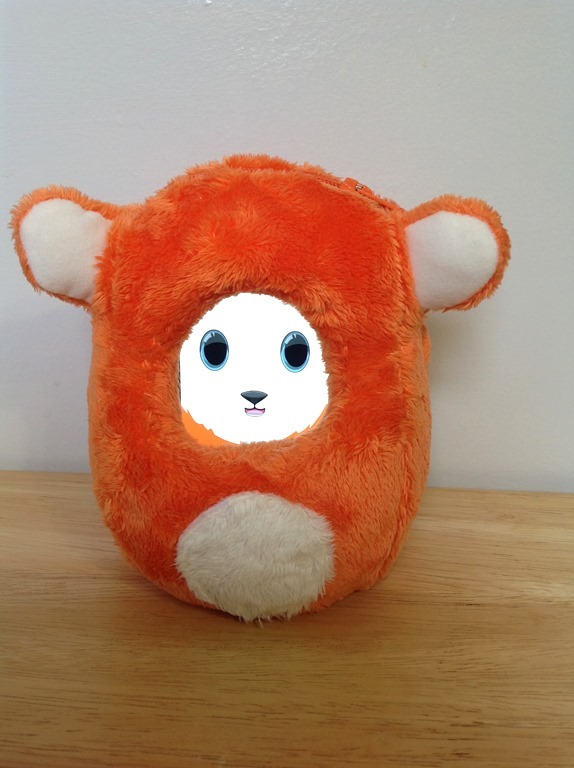 The Ubooly would make a great birthday, Christmas, or reward gift for any child you know. Have you tried the Ubooly yet? If so, what did you think? My daughter just walked by and recognized the Ubooly – she was telling me how she’s been wanting one! How cool! Love this idea – would make a great gift for my 3 year old! very cute! my son would love this! That’s a neat idea. 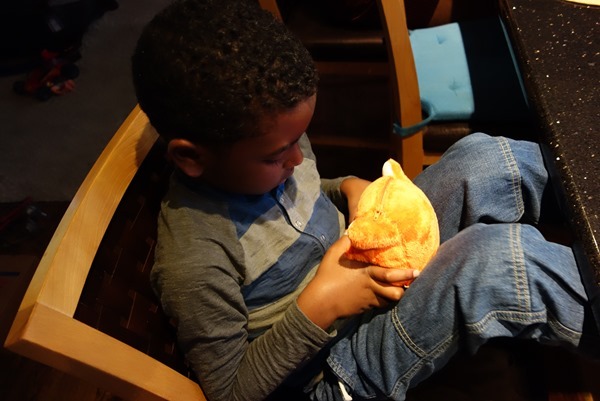 If you are going to let your child play with your smartphone, it’s even better to have it wrapped in a soft stuffy with interactive games! It looks so cute, such a lovely design. Kids will love it, it will be like a teddy bear that talks to them. I love that they talk to your child, but It’s really cool that they talk to each other too. This sounds super cool. I love learning about new products for kids. this is so cute. wish i had a smart phone. Wow, if he can jump 100 feet you better get him into an Olympic training camp…lol! Love how interactive this is! So cool that it interacts with your phone. I wonder about tablets? As of now, it’s made for iPhone and iPod touch. I don’t believe it’s available for tablets. Aww that is the cutest thing. 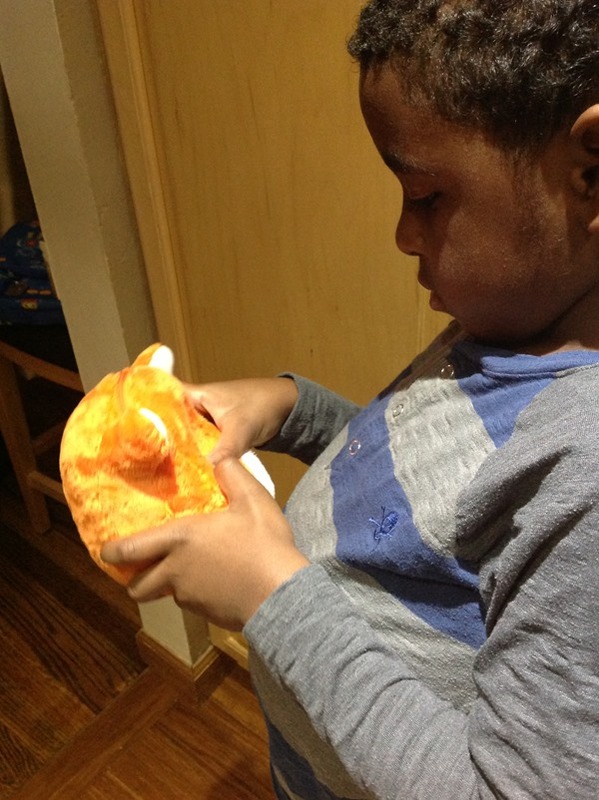 That’s a great interaction toy to help kids learn and keep busy.